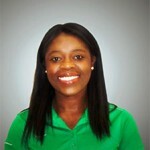 Dow AgroSciences welcomed two sales representatives to its Turf & Ornamental (T&O) team: Annie Nsafoah and Patrick Bell. Nsafoah will be based in Eastern Florida. She joined Dow AgroSciences in January as a sales trainee in Southern California and received a bachelor’s degree in agricultural biotechnology from the University of Kentucky as well as a master’s degree in agricultural economics and international agricultural development from Oklahoma State University. 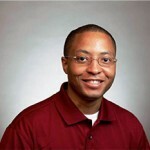 Nsafoah replaces Kevin Sheaffer, who relocated to Indianapolis to work on the company’s recruitment and talent development team. Bell is returning to the business, assisting customers in Alabama, Georgia, Mississippi, Tennessee and the Florida Panhandle. He most recently worked as a product manger in the Dow AgroSciences U.S. Crops and T&O businesses. He earned a bachelor’s degree in animal and poultry sciences and a master’s degree in agricultural and resource economics from Tuskegee University. Bell replaces Jennifer Monko, who relocated to Indianapolis as a training specialist.